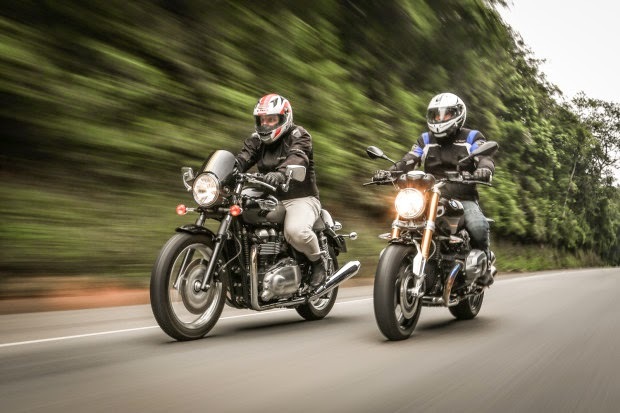 BMW R Nine T Against Triumph Thruxton. 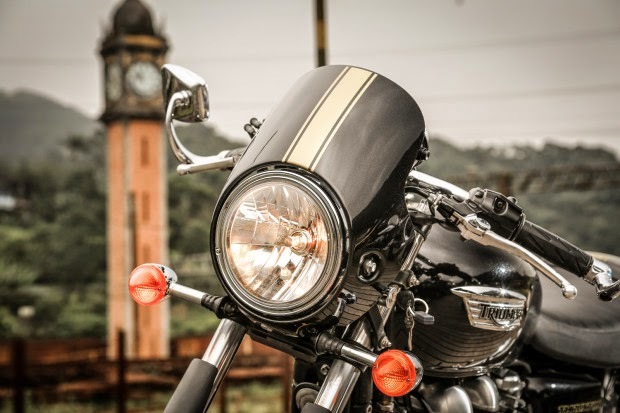 There are many stories surrounding the emergence of the term Cafe Racer. The most accepted is about young Englishmen rebels gathered in cafes to illegal racing bike in the 1960s While rolling a rock on the jukebox, they went into a run toward another coffee or just for accelerated nearby, with " mission "to vote before the music ended. To gain performance, shuffled in their bikes engines and eliminated virtually everything that could add weight, besides putting the most advanced and low handlebars, to leave more sporty riding position. Time passed and with it those "cracks" were contained for surveillance. I've had the pleasure of visiting the Ace Cafe in London, during a Sunday morning and no lack of police in the eye were assembled bikers. The Ace is the mecca of style Cafe Racer, a place that still seems to live like 50 years ago. Rock of old, retro decor and old jukeboxes are scattered by the snack bar serving coffee that morning at the whim of English - with the right egg, sausage, black tea and even beans! By staying on the road junction at the exit of London, the place is right point of the crowd gathered for bike rides - whether old or brand-new. 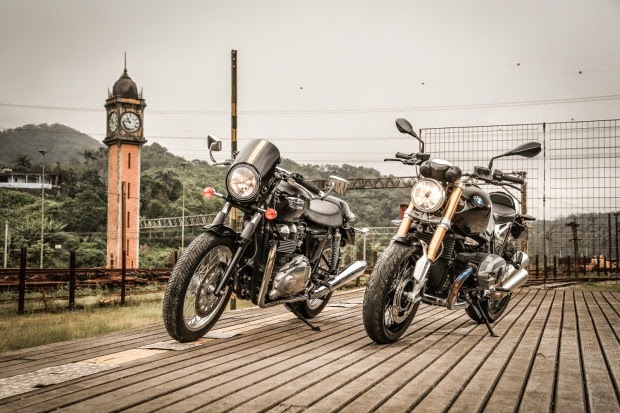 But what dominates the car are the same cafe racers, a fever that reheated in recent years and we decided to celebrate this time in Brazil, with the now classic Triumph Thruxton and BMW Nine T.
Our set has up to the clock tower Big Ben, but London is more than 10,000 kilometers away. We are in Paranapiacaba, in Santo André, a small district that retains the British style built by the British company trains São Paulo Railway, which operated the transportation of cargo and people between São Paulo and the port of Santos. Luckily (or the photographer? ), We even had the typical English fog on the report. More appropriate, impossible! 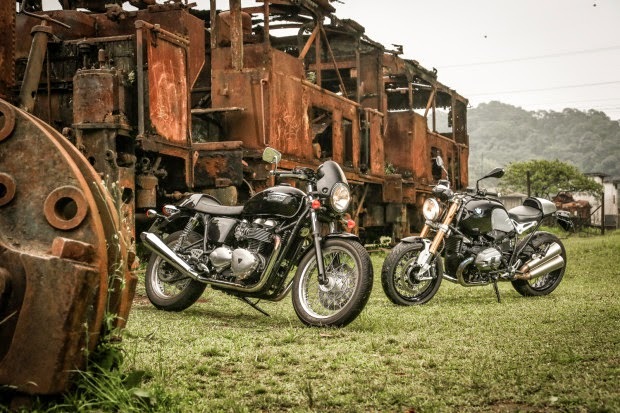 Although they have the same source of inspiration for the style, Thruxton and Nine T are different animals: the model of Triumph is a "sportif" version of the traditional Bonneville, more faithful to the rustic look of Cafes. It comes with semi-handlebars and rearmost and high bracket and the highest bank to make more aggressive riding posture. It also has a specific seat, narrower and can receive a cape on the back to leave it as single-seater. 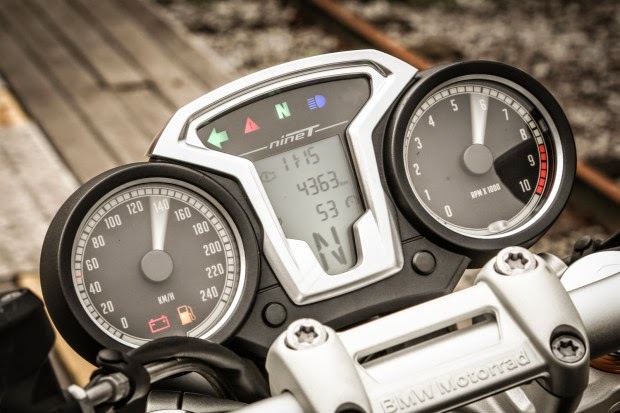 Also in relation to Bonnie, the instrument panel receives white background and the motor, remapped, yields 1 hp extra. In total, the dual cylinder 865 cc delivering 69 horsepower and 6.93 Nm of torque. 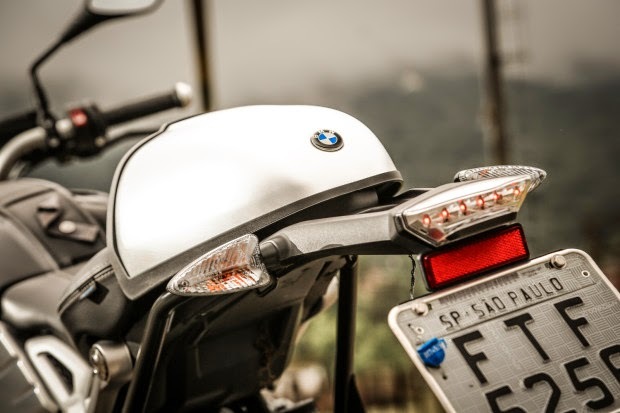 Already Nine T was developed to celebrate the 90th anniversary of BMW Motorrad. With design based on the old R 1200R, she received a number of modifications to make her more sports and cycling minimalist design. The engine is the classic two-cylinder boxer brand, still in the refrigerated version the air (the current R 1200 GS uses the new version liquid) in order to enjoy the history of preparation the propellant has in Europe. One of the balconies of this bike is the customization, including a cover in place of the rear seat (leaving her with single-seater face), but the mechanics do not have to move: they are 110 hp and a kick of 12.1 Nm of torque, controlled by a shift six-speed and transmitted to the rear wheel by drive shaft. 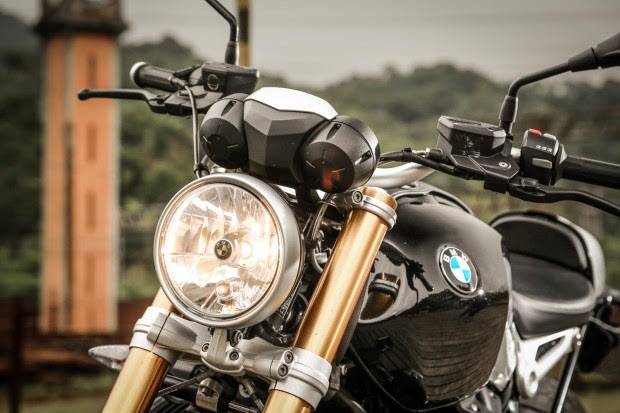 The front canes, reversed, came from the former S1000 RR (though without setting) and the brakes are dual disc front and single rear, with ABS and Brembo calipers. 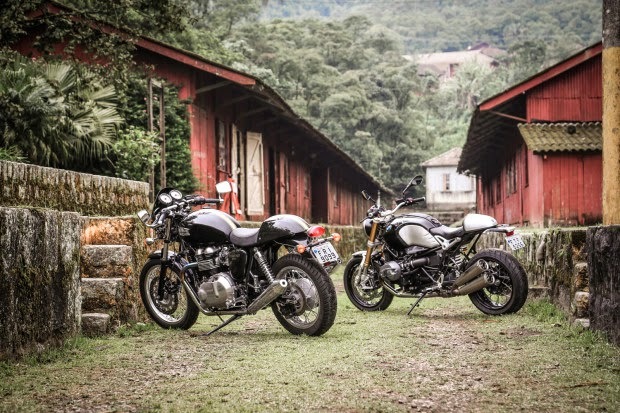 As we can see by the technical descriptions, the Triumph is a motorcycle simpler design, stripped, allowing you a price that is almost half of BMW's value about US$ 14.995 to US$ 16,900. What are we doing here, so is far from a comparative. Our idea is to just show these two options for lovers of Cafes, since the choice will depend largely on taste and especially the interested pocket. 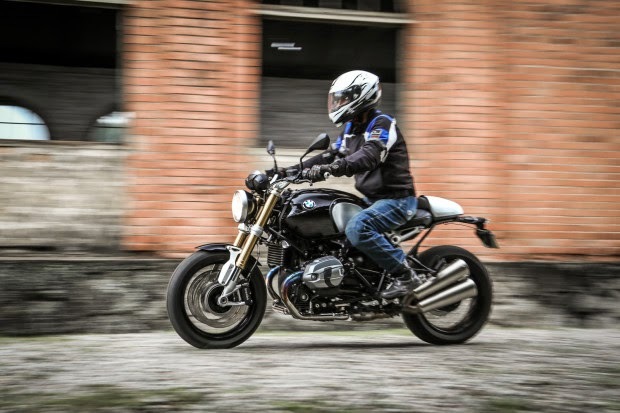 In motion, the Thruxton is a percolator coffee well drawn, while the ninet is those gourmet Espresso coffees type. That is, the Triumph is good enough to please the palate, but BMW has more full-bodied flavor. Starting with the English bike, then noticed the sportier stance toward Bonneville. The semi-handlebars leave the narrow bike, while the footrests are further back in the raised position. The pilot gets the more inclined back, tiring after a while, but gets to "change" a lighter that played in Bonnie, easier to point the curves. The exchange has soft couplings and long relationships to compensate for the absence of the sixth (are only five-speed). The engine dual cylinder surprised by the low level of vibration, also having a slight snoring, but striking. 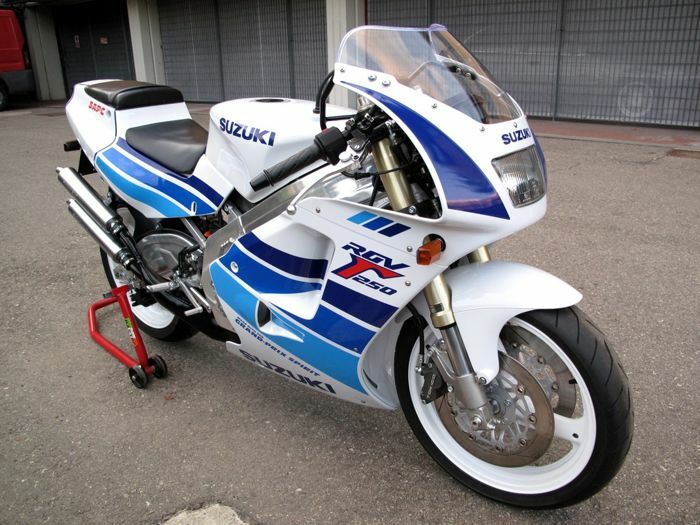 Despite high 230 kg, the motor responses are vigorous and appropriate to the bike's proposal, which aims to be not sports. Still, 100 km / h arise within a few seconds, and the maximum is around 180 km / h. The suspension uses conventional forks on the front, with 120 mm of travel, and double damper on the back, with adjustable preload and 106 mm stroke. She is "stiff as a board", but does not quite hit the dry holes, providing good stability on winding roads - respecting, of course, its thinner tires and conservative design band. Have the brakes are only reasonable: there could be another disc in the front (just one), and on the back we find the "bite" of very soft disk for the bike walking (and weighs). Another felt lack of ABS is not offered or as an option. More true to rustic style, Thruxton has some curiosities, like a carburetor engine in imitation (which is actually injected) and the choke (which must be used for the first match of the day), and the keyless gas cap. 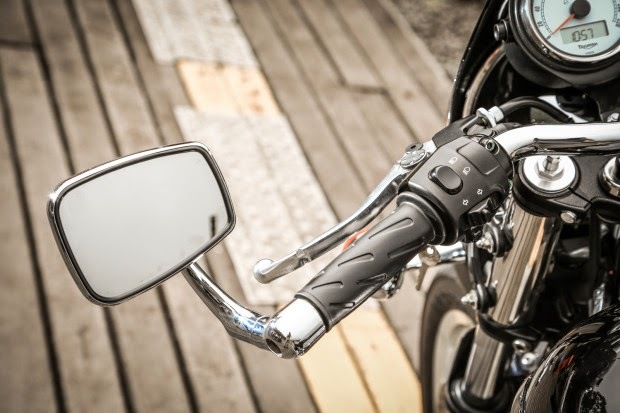 Another aspect that draws attention is the position of the mirrors at the ends of the handlebar, which requires some adaptation to move in the aisle formed between the cars, since the total width reaches 830 mm. With tank of 16 liters capacity, Triumph had an average consumption of 18.9 km / l during the evaluation, yielding a range of approximate 300 km. If the British commitment to purity, the German is all about power. The departure of motors 1200 is accompanied by a light bike (characteristic of dual cylinder boxer engine) and a strong and thick snoring emanating from the dual exhaust. 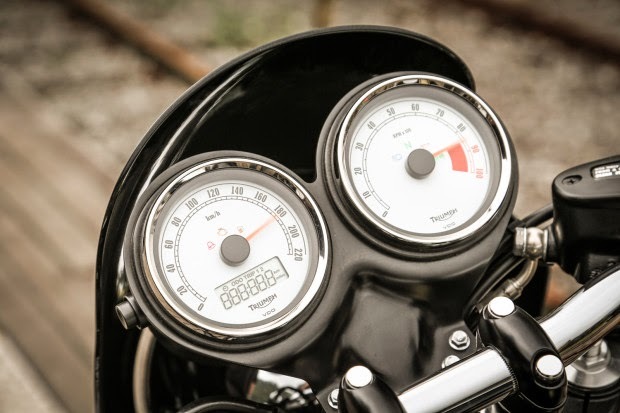 Unlike Triumph, here the pilot's position is less than sports and more naked, with open chest handlebars and the wind. The hydraulic clutch requires almost effort on the handle while the drive shaft makes a very smooth ride, practically free of fits even on the fastest running passages. To follow, the exchange has soft couplings and the suspension is surprisingly soft even in São Paulo Burrowing. Have to move between cars in traffic it takes a bit of attention with the heads of cylinder engine out of the frame, in addition to the wide handlebars (total 890 mm). But the Nine T has good angle manure and despite the 222 kg does not seem heavy time to maneuver between other vehicles. Can you use on a day-to-day? Yes, but the great cheap this BMW is taking a road full of curves preference. Impresses the generous torque (more than 12 Nm!) Spread over a wide speed range, causing the throttle responses are always strong, even at high speed. A call over the decided knock result in a right lever on the back, with the firing Nine T beyond 200 km / h in a short time - 100 km / h to reach only 3.6 s in accordance with the mark. Although not a fast-moving motor (the red band starts at 8500 rpm), which does not lack is available engine 1,200 - and felt the vibration at idle discards as the turns increase. In the city, Nine T walks a good using high gears at low speeds. On the road, spikes 4000 rpm at 120 km / h in sixth gear, providing a relaxed and enjoyable trip. Fun to ride in any situation, the Nine T reveals a lightweight cycling, agile and sporty, offering a much more daring than played suggests its classic look. She points easily where you want, staring passages in "S" naturally and leaning more than expected in closed carvings. Also deserves applause the brake system with dual disc 320 mm at the front and Bream calipers, ensuring decided allocated and efficient ABS. Other "modernity" are present in items such as LED flashlight and the gear indicator on the panel. Finally, the average consumption during the test was 15.6 km / l, which results in about 280 km of autonomy with 18 liters of tank capacity. After enjoying the two Cafes, it is evident that the only thing that unites them is the classic style. 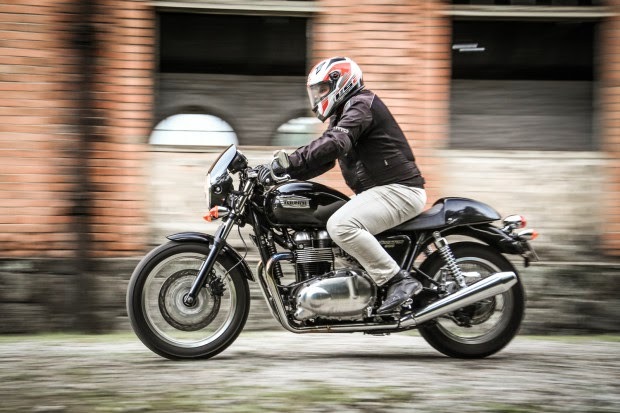 Each with its played, Triumph can be the starting point for a stylish largest displacement bike, by the softer responses and a footprint more "uncompromising ride." On the other hand, the T Nine justifies its higher price for the mechanical and neat finish. It is a sporty naked dressed in classic clothing, as for the more experienced (and wealthy) look back at their time of rebels boys. Motor: two cylinders in line, 8-valve, 865 cm3, electronic fuel injection, dual overhead camshafts, air cooled; gasoline Power: 69 hp at 7,400 rpm; Torque: 6.93 Nm at 5,800 rpm; Transmission: five-speed exchange, chain drive; Frame: tubular steel substructure; Suspension: telescopic fork with 41 mm diameter (120 mm stroke) on the front and two-damped at the rear (106 mm stroke), adjustable in spring preload; Brakes: simple front discs (320 mm) and rear (255 mm); Tires: 100/90 rim 18 at the front and 130/80 at the rear rim 17; Weight: 230 kg (in running order); Capacity: 16 liters tank; Dimensions: length 2150 mm, width 830 mm, seat height 820 mm, wheelbase 1490 mm.